Mr. Taylor spent his early career with responsibilities in the Capital Markets areas of Mortgage Banking. He began with GMAC Mortgage in Elkins Park, Pa, where he came to be in charge of securities trading, pricing, and product hedging. He was also instrumental in the development of the broker dealer group Residential Funding Securities Inc., a GMACM subsidiary. After GMACM, Mr. Taylor went to GE Capital Mortgage Services in Cherry Hill, NJ. As a Vice President in the Capital Markets group, he developed a network of private investors to purchase mortgage securities directly from GECMS. He held Series-7 and Series-24 securities licenses and was a registered Securities Principal and SVP of GE Capital Markets. He also supervised GECMS and GE Mortgage Insurance Corporation (an associated company), Series-7, representatives. He next moved to GE Mortgage Insurance Corporation at which he was a VP in the Structured Transactions group where responsibilities included the lead relationship manager for structured mortgage insurance with Fannie Mae, Freddie Mac, the Federal Home Loan Banks, and other major US banking institutions. Over the past eight years, Mr. Taylor has been involved as a Principal in several “green technology” companies employing energy saving strategies for commercial use. The technologies include innovative LED lighting solutions, infrared thermography, and power saving strategies designed to increase the efficiency of electrical systems and motors. His focus is on reducing the operating costs and safety of commercial facilities. Mr. Taylor earned a BA in Economics from Colby College in Waterville, Me, and an MS in Finance from Drexel University in Philadelphia, Pa. He is also an Infraspection Institute Certified Level III Infrared Thermographer. After serving in the U.S. Navy for four years, Mr. Fernandes took a job as a forklift operator at Triboro Electric in Doylestown, PA. Within a year’s time, he had advanced to Receiving Supervisor, with his sights set on continued advancement. He gained solid experience in team development, learning and honing supervisory skills and additional responsibilities. In the eighties, Triboro experienced growth as a privately owned manufacturing firm. During this time, Mr. Fernandes became supervisor of the warehouse, followed in a few years by the position of Warehouse Manager and finally, Distribution Manager. In addition to Doylestown, the company also had locations in Warminster, PA and Hightstown, NJ with annual sales in excess of $30m. Interests in establishing a facility in Tijuana, Mexico, spelled the eventual migration of all operations from Pennsylvania sites to Mexico. Sale of the firm to a corporate holding group resulted in acceleration of the move. During the mid nineties, the Doylestown warehousing team under the management of Mr. Fernandes compiled and shipped nearly 1,500 trailer loads of the firm’s machinery, materials and product bound for Tijuana, thereby ending U. S. operations for the firm. Following a twenty two year career, Mr. Fernandes decided to change his focus and expanded his skill set by attending a NAFTA-sponsored electrician’s school for nine months. Successfully completing his courses there with an overall grade of 97%, he took on a mechanic job with A & R Recycling, an industrial baler/shredder installation and maintenance firm where he gained considerable experience in metal fabrication, process equipment troubleshooting and repair and customer service for about one year. After a year at Rice Electric, Mr. Fernandes took a job with Fluidics, Inc. where he served as an on-site maintenance electrician at the Bristol Myers Squibb complex in Hopewell, NJ. Within a year, he advanced to Lead Electrician, and over the next eight years, acquired a wealth of knowledge and experience while developing a skilled work force charged with maintaining sophisticated electrical systems for a 1.5 million sq. ft. pharmaceutical research and development site. He also gained proficiency in the installation, maintenance, repair and programming of Variable Frequency Drives, developed an in depth knowledge the facility’s HVAC and Building Automation Systems, and planned and conducted all high voltage switching on the site. Mr. Fernandes eventually wrote and formatted all High Voltages switching procedures for the BMS site. He achieved status as an Infraspection Institute Certified Level One Infrared Thermographer. 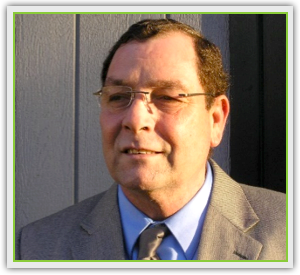 He was a founding member of BMS’s Central NJ Regional Lock out/Tag out team, and co-wrote their electrical safety operating procedures, including Arc-Flash. Additionally, Mr. Fernandes helped write many of the Maintenance Department’s operating procedures including the CMMS process mapping, electrical safety and response measures. And, he stood in as the site’s HVAC Group Lead for a six month period, directing the HVAC Technician’s Team. Mr. Fernandes’ BMS tenure significantly enhanced an already broad technical knowledge base and provided extensive project management experience. As a group lead, job requirements included active participation as an industrial electrician involved in the daily work flow. During his last two years at BMS and continuing in the few years following, Mr. Fernandes again changed his career focus and successfully pursued an online Degree with DeVry University, earning a BSBA in Accounting and graduating with honors and a GPA of 3.67. 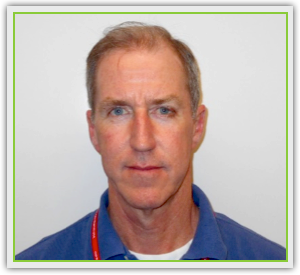 Since then, he joined Energy Audit Partners LLC as a principal, attained certification as a Commercial Energy Auditor through the Energy Audit Institute, and became an Infraspection Institute Certified Level Two Infrared Thermographer. As a partner and principal with Energy Audit Partners, Mr. Fernandes strives to develop solid customer relationships by drawing upon his considerable knowledge and technical skills with regard to commercial building utilities systems, his extensive experience as an electrician, and his use of state of the art technologies such as Infrared Thermography. He has successfully helped clients to reduce operating costs through energy conservation and efficiency strategies and he works with clients to develop comprehensive and cost effective predictive and preventive facilities maintenance programs.